A pure dart toast Library. You can completely customize the style of toast. if you use oktoast 1.X.X ,Please use the 1.X branch, and read version readme. Proposed migration to 2.X.X version. The new version does not require buildContext. 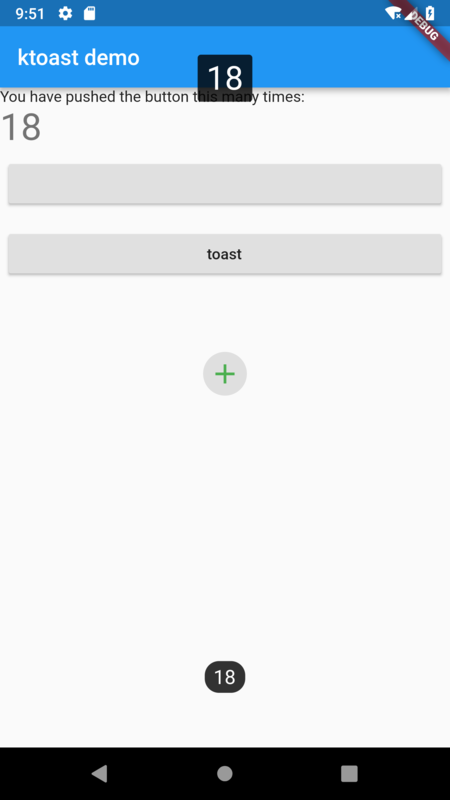 And you can completely customize the style of toast, because now you can use showToastWidget. oktoast have default style, and you also can custom style. dismissOtherOnShow bool optional If true, other toasts will be dismissed. Default false. movingOnWindowChange bool optional If true, when the size changes, toast is moved. Default true. textAlign TextAlign optional When the text wraps, the align of the text. 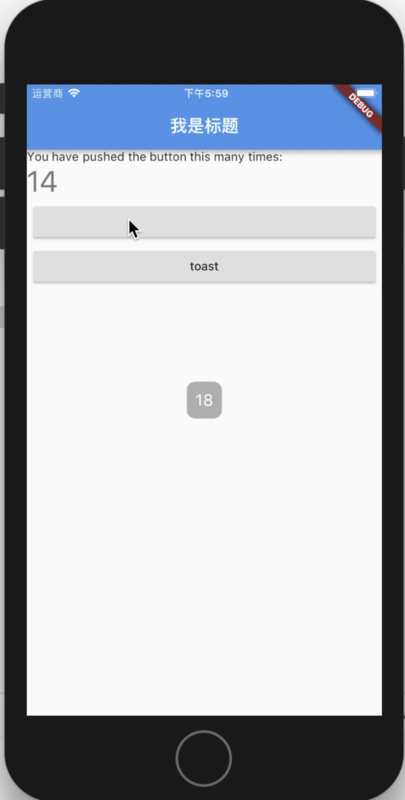 showToast and showToastWidget return type is ToastFuture, The ToastFuture can be use to dismiss the toast. print("the toast dismiss"); // the method will be called on toast dismiss.